Let’s kick off 2018 with a Last Jedi-themed look at copay accumulator programs—a benefit design option that I expect to become highly controversial this year. 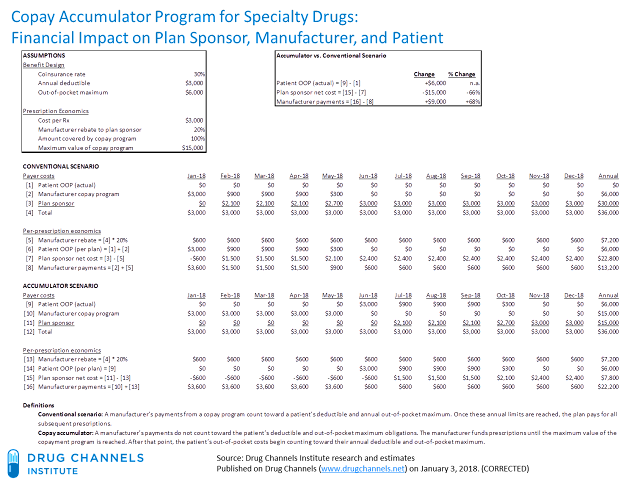 Accumulator programs target specialty drugs for which a manufacturer provides copayment assistance. Unlike conventional benefit designs, the manufacturer’s payments no longer count toward a patient’s deductible or out-of-pocket maximum. Given the direct human healthcare impact of copay accumulator programs, I don’t see how they can be considered value-based designs. Is it any wonder that people think their employers and insurance companies are from the dark side? Patients today are being asked to pay a significant share of prescription costs for more-expensive specialty drugs, because of high coinsurance amounts. See the benefit design data in Employer Pharmacy Benefits in 2017: More Cost-Shifting to Patients As Tiers and Coinsurance Expand. Shopping for Prescriptions: How Deductibles Will Reshape the Pharmacy Industry. Consequently, pharmaceutical manufacturers offer copayment offset programs (also called copay cards or coupons) that cover a beneficiary’s out-of-pocket costs and/or deductible for a brand-name specialty drug. 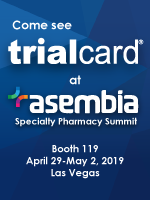 Copayment programs for specialty drugs also offer third-party payers and PBMs a way of extracting additional discounts from pharmaceutical manufacturers. IT’S TIME FOR THE COPAYS…TO END? For the 2018 benefit plan year, however, many plan sponsors are adopting a copay accumulator approach that alters the conventional scenario. With a copay accumulator, the manufacturer’s payments do not count toward the patient’s deductible or out-of-pocket maximum obligations. The manufacturer funds prescriptions until the maximum value of the copayment program is reached. After that point, the patient’s out-of-pocket payments begin counting toward their annual deductible and out-of-pocket maximum. There is no industry standard name for copay accumulators, but there are already plenty of ambiguous euphemisms. UnitedHealthcare uses the term “Coupon Adjustment: Benefit Plan Protection program.” Express Scripts uses the term “Out of Pocket Protection program." As the example below illustrates: Every word in those names is wrong. Let’s run some numbers to illustrate the financial impact of a copay accumulator program. 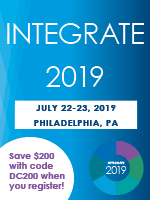 Consider a benefit design in which the patient has 30% coinsurance on a specialty drug prescription, a $3,000 deductible, and a $6,000 annual out-of-pocket maximum. The patient is prescribed a specialty medication that costs $3,000 per month. For simplicity of presentation, assume that there are no other healthcare expenses that reduce the deductible and out-of-pocket maximum. The manufacturer establishes a copay offset program that pays 100% of the patient’s out-of-pocket costs. The program has a maximum annual value of $15,000. The manufacturer also negotiates a 20% rebate to the plan sponsor. In the conventional scenario illustrated below, the manufacturer pays the patient’s annual deductible and the coinsurance amount. Once the annual out-of-pocket maximum is reached, the plan pays the full cost of the prescription. The total value of the manufacturer’s copay program is exhausted after five months. The patient then becomes responsible for working down the deductible and out-of-pocket maximum. The patient’s out-of-pocket costs go from $0 to $6,000—the annual out-of-pocket maximum. For the full year, the plan’s total expenses drop by 66%, and the plan does not pay the full cost of the prescription until the last two months of the year. The manufacturer’s earns at most 38% of the drug’s list price. In practice, the manufacturer will earn even less, due to channel fees and other discounts. I see at least three major problems as these programs roll out in 2018. 1. Patients will become confused and angry. For years, manufacturers’ copay programs have helped patients deal with health plans’ and employers’ massive cost-shifting for specialty drug costs. The prevalence of specialty drug coinsurance is linked closely to copayment offset programs. 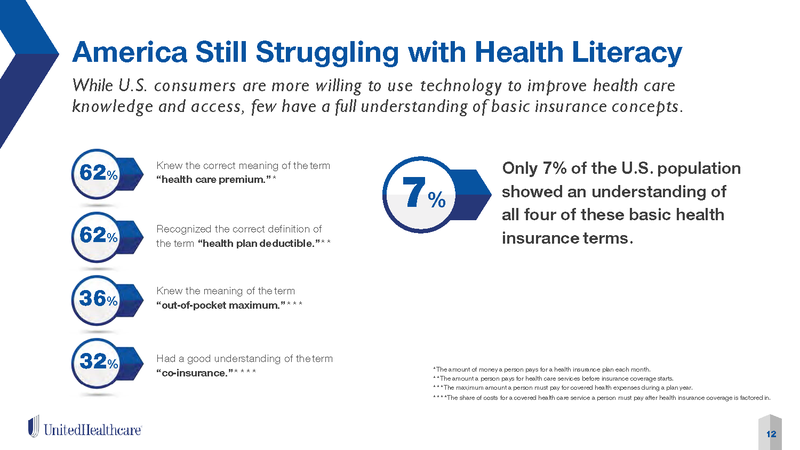 Health plans will surely develop communication programs to counsel patients who get hit with surprising out-of-pocket payments. Explanation of benefits (EOB) will provide appropriate disclosure and prevent lawsuits. But let’s get real: Most patients will face a rude surprise in 2018 when they discover that the manufacturer’s program no longer counts toward their deductible or annual maximums. 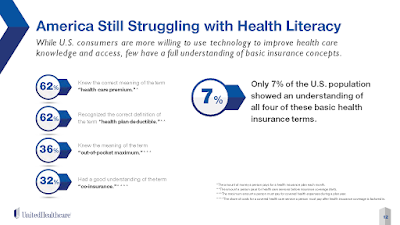 As you can see, more than one third of consumers don’t understand the meaning of “health plan deductible” and almost two-thirds don’t understand the meaning of “out-of-pocket maximum.” Who is going to show them their place in all of this? Industry insiders, such as Drug Channels readers, may scoff at these findings. But I expect that later this year, we’ll begin seeing news stories highlighting people’s dissatisfaction with accumulator programs. The media will, of course, blame pharma companies instead of benefit design. 2. Copay accumulators will create massive adherence problems. The median U.S. household income is about $58,000. It’s clear that many will struggle to pay $6,000 out-of-pocket in the middle of a benefit year. Patients don’t decide to forgo cancer or HIV treatment because they now have a “consumer-oriented” incentive. More likely, they will just stop filling their specialty drug prescriptions. Most of these drugs are single-source therapies with no equivalent generic version or therapeutic alternative. As I see it, insurance should offer protection if you are unfortunate enough to require treatment for a rare and serious condition. It’s therefore hard not to see copay accumulators as blatant discrimination against patients undergoing intensive therapies for such chronic, complex illnesses as cancer, rheumatoid arthritis, multiple sclerosis, and HIV. Your genetic makeup or bad luck now makes you a target for this unusual benefit design—even after you or your employer has already paid $20,000+ in annual insurance premiums. That’s the essence of the reverse insurance approach at the core of pharmacy benefit design today. 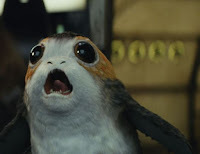 And it makes me sadder than an unhappy Porg. 3. Drug spending will drop—for the wrong reasons. 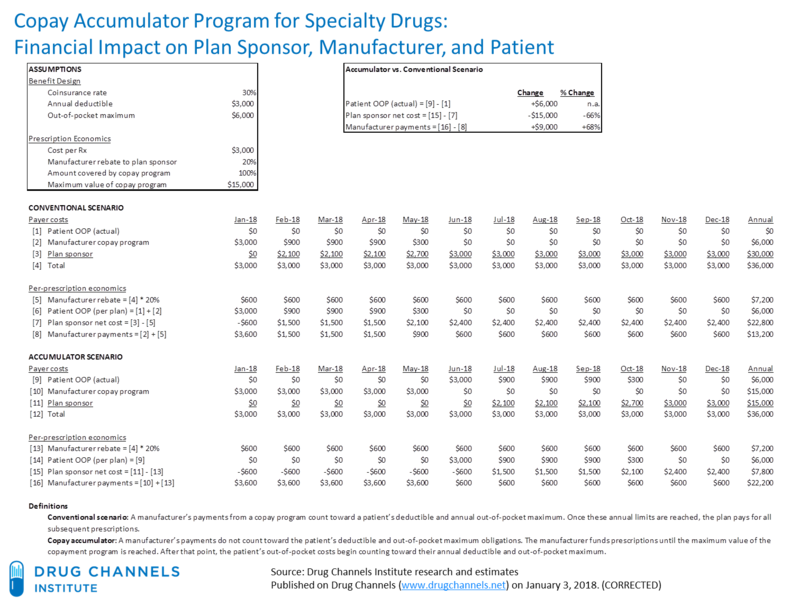 A change in a plan sponsor’s drug spending comprises both prescription utilization and the net, post-rebate cost of drugs. Understanding the mix of cost and quantity is crucial to understanding what drives drug spending. We know that utilization is a significant driver of specialty drug spending. 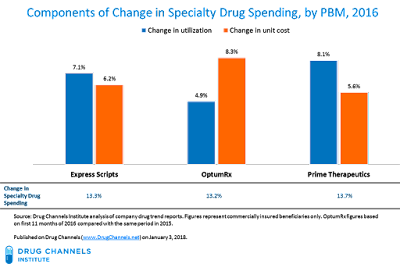 The chart below deconstructs the total change in specialty drug spending, separating it into changes in cost vs. utilization. The PBM data clearly show that a major component of spending growth can be attributed to growth in the number of people being treated and the number of prescriptions being dispensed. For instance, the 7.1% utilization increase accounted for more than half of the 13.3% increase in specialty drug spending for Express Scripts’ commercial clients. Higher utilization of specialty drugs is usually considered a positive trend. That’s because it is well established that pharmaceutical spending reduces medical spending and improves patients’ health. Given the massive cost-shifting to patients, I expect that copay accumulators will reduce spending by decreasing the utilization of specialty drugs. FWIW, when utilization declines, PBMs’ specialty pharmacies will also see a mid-year hit to revenues. 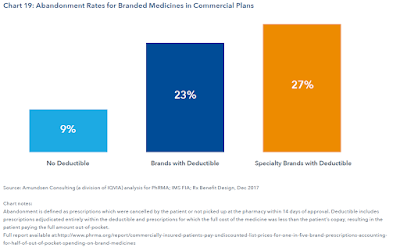 These specialty pharmacies will therefore suffer when a manufacturer’s copay program is used to benefit the plan at the expense of the patient. I wonder if plans will learn the wisdom of Yoda: The greatest teacher, failure is. P.S. Unlike copay accumulators, I highly recommend The Last Jedi! CORRECTION: We inadvertently misstated the formulas for plan sponsor net cost and manufacturer payments in the accumulator scenario. However, all computations and figures were correct.